I’m afraid I’m already seeing the effects of male pattern baldness at 17. I think I’ve slowly been losing my hair for a little less than a year but haven’t fully noticed until a couple months ago. I’m getting worried that it’ll get worse, or be completely irreversible. Please help. Posted September 28, 2018 under Ask Us. Teenage guys and young men are sometimes affected with male pattern baldness (medical name: Androgenic Alopecia) which is the most common cause of hair loss among adolescent males. 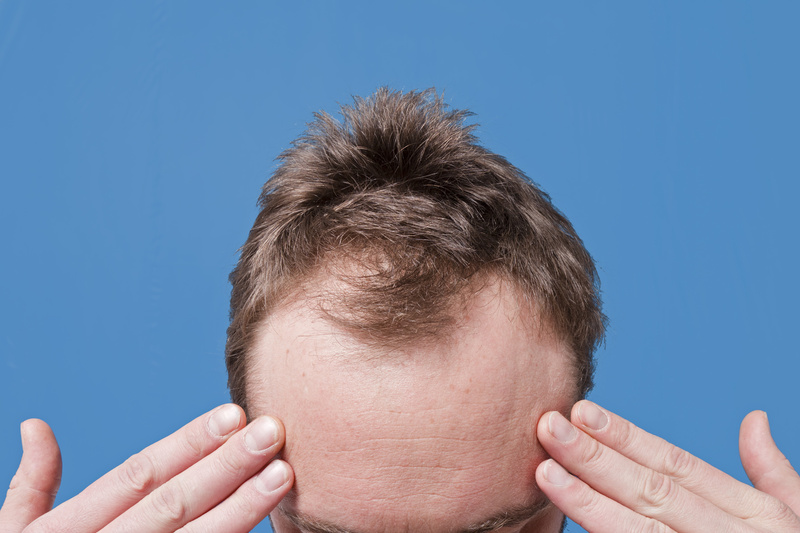 Male pattern baldness gets its name because​ the hair falls out from the scalp in the same pattern in most guys. It is a result of a combination of androgens (male hormones) and “genes” (features that you inherit from your parents and you also pass down to your children). 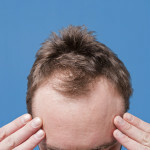 However, there can be other factors that can contribute to hair thinning and loss such as a reaction to a new hair product, low iron levels, lack of certain vitamins from poor nutrition, an infection, an overactive thyroid condition or other medical illnesses, certain medicines such as anabolic steroids, and stress or a traumatic event can also cause temporary hair loss. Sometimes if the source of the problem is treated such as improving eating habits, hair can grow back. Other times the hair loss can be permanent. Most guys worry about hair loss at some point in their life. Since you’ve noticed hair loss over several months, it’s a good idea to make an appointment with your health care provider and get checked out. Here’s a tip on how to bring up the topic with your health care provider: “I’ve noticed that my hair is getting thinner. Is there anything I can do?